In a joint statement today, ReneSola and Nautilus Solar Energy announced Nautilus’s acquisition of a 21-MW community solar portfolio, the largest community solar portfolio developed by ReneSola in Minnesota. Like two previous ~13-MW acquisitions announced in 2017 and 2018 between the parties, this portfolio also qualified under Xcel Energy’s rapidly expanding community solar program in Minnesota. The portfolio is spread over four sites and will incorporate both single-axis tracking and fixed tilt solar applications. The portfolio will be built through the remainder of year and is expected to come online during Q4 2019. Nautilus, through its full-service platform, provided early-stage development capital and will be responsible for long-term asset management services and maintenance for the projects. The projects will be owned by an affiliate of Virgo Investment Group, which is also a minority shareholder of Nautilus Solar Energy. 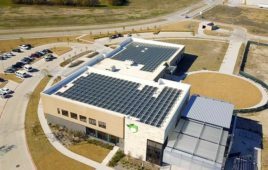 The energy provided by the portfolio directly benefits local community off-takers located offsite by providing energy cost savings while also advancing subscriber’s sustainability goals. “This transaction once again demonstrates the strong project development and subscription sales capabilities of our Minneapolis-based community solar team,” remarked Hal Galvin, general manager, U.S. Midwest Region of ReneSola Power Holdings, the U.S. project development arm of ReneSola. “Our prior successful experience partnering with the Nautilus team continued to give us confidence in their transaction execution capabilities and their expertise in community solar,” added Doran Hole, CEO, North America and group VP — strategy of ReneSola. “With this acquisition, we significantly expand our presence in and commitment to the Minnesota community solar marketplace,” said Jim Rice, CEO of Nautilus Solar. 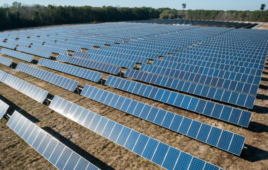 “The size of this transaction further demonstrates Nautilus’s goal of becoming a leading acquirer of community solar projects in Minnesota and throughout the country,” added Jeffrey Cheng, COO of Nautilus Solar.